British Airways, schooling the likes of Disney, Coca Cola and IBM when it comes to building a Google+ following. A Google+ profile is like a gym membership, everyone’s got one, but most don’t use it. This makes building a social following on Google+ notoriously difficult for major brands. So isn’t it just awesome when a select few show the masses exactly how it’s done. That select few are the airline brands. British Airways are leading the way in a Google + follower phenomenon emerging amongst airlines. Whilst most top 100 global brands including Disney and IBM struggle to gain Google+ followers, leading airline brands British Airways, Delta and Emirates fly ahead. Let’s take a look at the airline success stories in a little more detail. For the purpose of this post, I’ve contrasted Google+ followers for five of the top 100 Global Brands according to the Financial Times, with five leading airline companies that are putting them to shame. These figures are astonishing; British Airways currently outperform Coca Cola by a ratio of 2:1. Take into account Coca Cola’s $90.2 billion valuation with British Airways $3.7 billion valuation and the assumption there is a vast gulf in marketing budget, this contrast begins to take on the biblical quality of David vs. Goliath. Whilst the average Social Media Manager is furrowing their brow and thinking the airline brands success a minor victory, the SEO savvy amongst you will be nodding knowingly at British Airways and Co.’s success. Who cares? Google, that’s who. Moz, a leading authority on SEO, have just released their 2013 Search Engine Ranking Factors report in which there is an undeniably strong correlation between followers and +1’s on Google+ with, improved search results in Google. As the most followed airline brand on Google+, we took a closer look at British Airways to find out just what has made them so successful. After trawling their many websites and scouring the web for marketing promotions, British Airway’s strategy looks like it’s all about doing simple things. Sharing lots of great content from their sites BA high life, BA business life, Club BA and other third parties… Mashable etc. Adding the “follow” button into their mailer. It looks almost too easy, for six months British Airways maintained a linear growth of almost exactly 50,000 followers a week. It does however look like the bubble may have burst, in the last few weeks British Airways have experienced a slowdown to what would now seem a meagre 3500 extra followers a week. 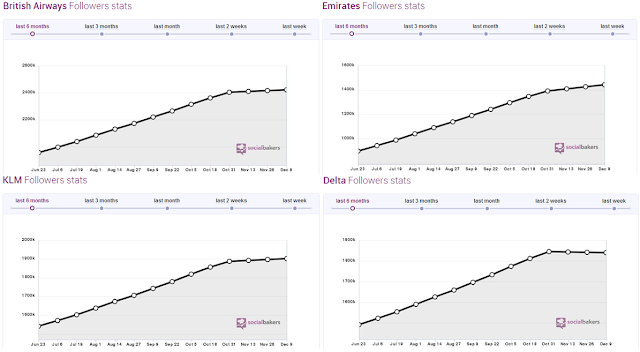 And they are not alone, KLM and Emirates have experienced an almost identical plateau with Delta now losing followers! Where British Airways dominated on Google+ against the top 100 global brands, the same can’t be said for their Facebook and Twitter profiles. A quick look shows only 1,083,743 Facebook ‘likes’ and 337,838 Twitter followers. Not so impressive when compared against the same top 100 global brands they so thoroughly embarrassed earlier. This deficit becomes amplified as British Airways seem to be placing greater marketing focus on Twitter and Facebook, compared with their Google+ counterpart. They have run a series of viral campaigns, such as Race the Plane and their Perfect Day competition, which were not run on Google+. Despite this, they haven’t been able to match the top 100 global brands, nor even their following on Google+. Still, British Airways and the other airline brands have created the success where it counts. Success on Google+, compared with Facebook and Twitter is likely to have far greater benefits with improved search rankings and more traffic. It’s only a matter of time before all the major brands turn their focus to Google+ whilst aiming for SEO success. 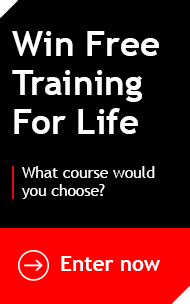 Why not join them by checking out our new accelerated 3 day Search Engine Optimisation course. Think we’ve missed a trick? Spotted other examples of how the airline brands are succeeding that we’ve failed to highlight, why not comment below?